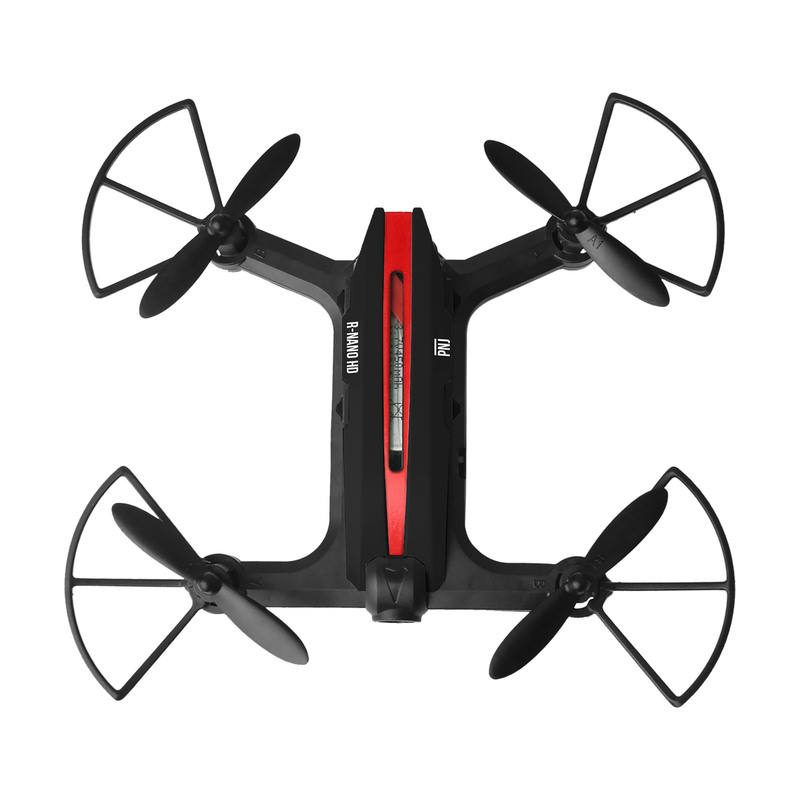 The R Nano is a nice little drone that you can easily take with you wherever you go. It is both compact and lightweight to allow you to take aerial shots at any time. With its built-in HD camera, the R Nano HD lets you shoot high-end video in 720p20ips and photos. 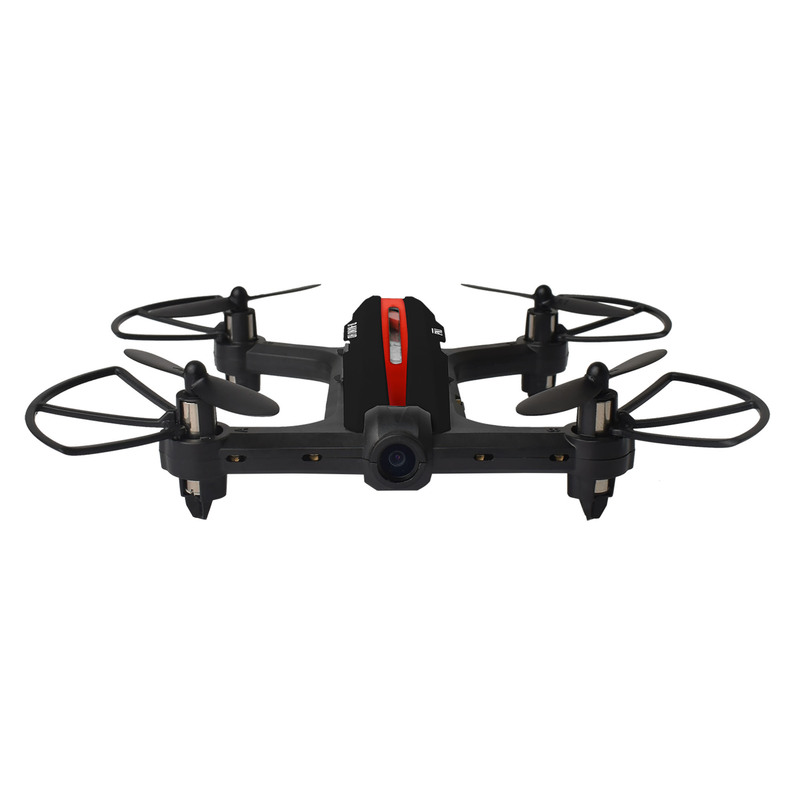 Thanks to its small size of 10cm by 9cm, this drone is a master key that will allow you to find original points of view. Easy to use and robust whether you are a beginner or a confirmed pilot, this drone is ideal for real life scenarios both outdoors and indoors. With its two batteries, it also gives you an extended autonomy of 6 extra minutes. 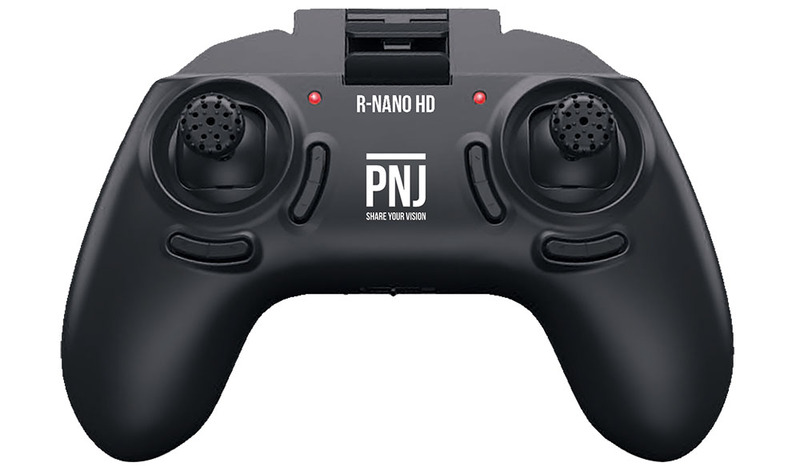 The R-Nano HD comes with a radio controller that allows you to control it with precision in all situations. Easily perform acrobatics and change gears with a simple push of joysticks. 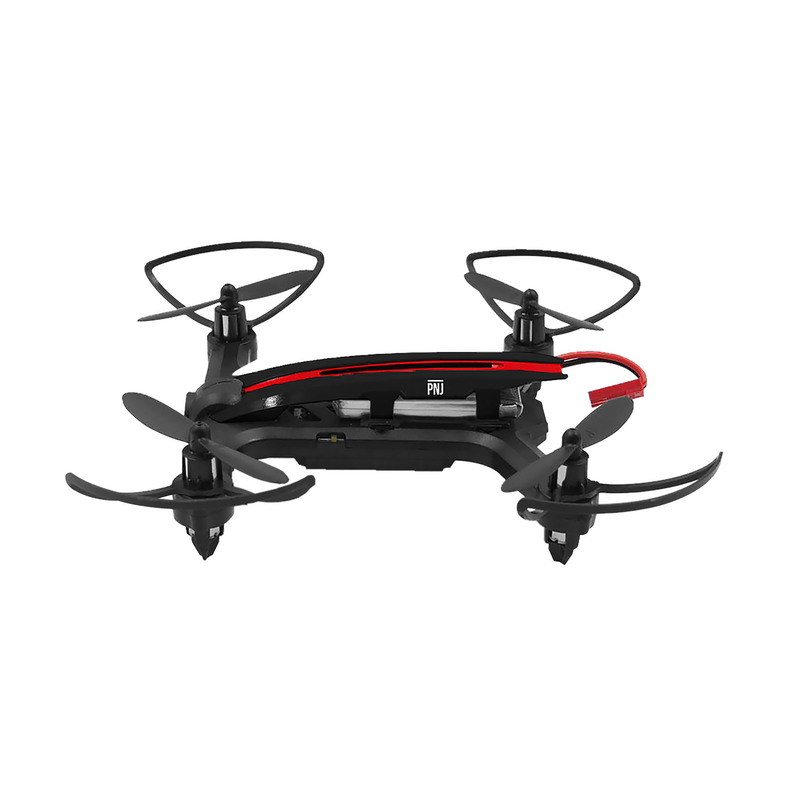 The R Nano HD is a nice little drone. With its dimensions of just a few centimeters (10 cm by 9 cm), you can take it with you with ease. It is both compact and lightweight, an indoor mini racer that will allow you to take aerial shots at the same time. The R NANO HD is for speed lovers. It’s the perfect drone to get your hands on a little racer. Being both robust and agile, this drone model allows you to familiarize yourself with the classic controls found on most drone radio controllers but also to get used to the flying behavior of racing drones. Why not start a little challenge and test your piloting skills by creating an obstacle course ? PNJ offers you its very first Racing Track composed of 5 doors, 5 flags and 2 landing bases that will spice up your flying sessions. Between slaloms, doorways and precision landings, you will quickly develop your skills and you will be able to modulate your course as you see fit to avoid any feeling of routine! Your drone is piloted with a 2.4GHz radio controller that allows you to pilot it accurately in all situations up to a distance of about 60m. 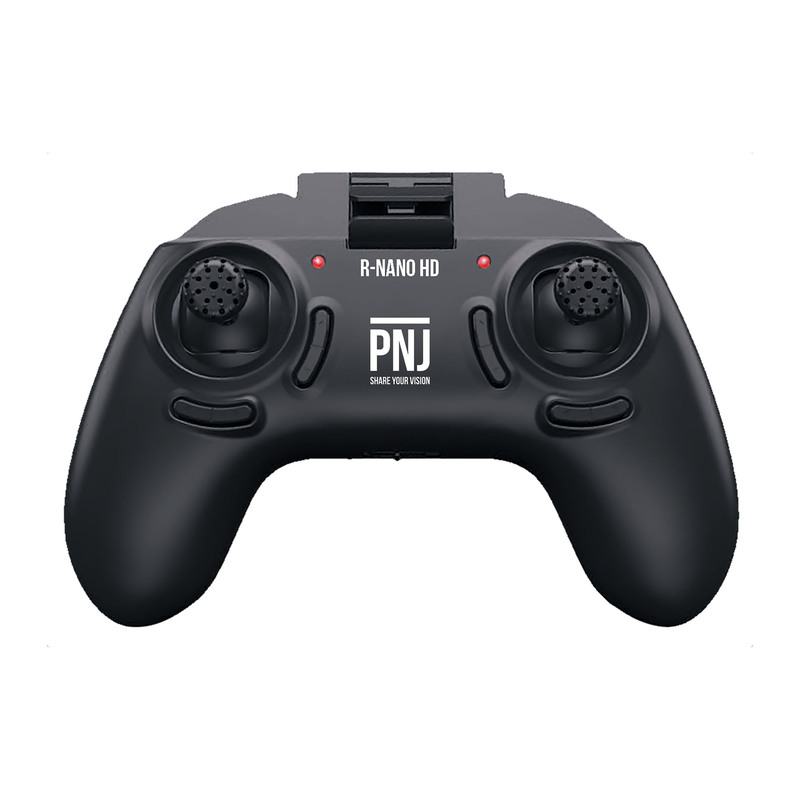 The controller works with 4 AAA 1.5V batteries provided in the initial pack to allow you to start flying without delay! Whether you are more into video or acrobatics, the R NANO HD allows you to reconcile the 2. All controls are at your fingertips: pilot your drone, easily perform 360 ° flips or change the speed of flight. A trigger on the right side of your remote controller also allows you to trigger the recording of photo or video shots while a light signal will tell you that you are recording something. Whether you are a novice or confirmed drone pilot, this drone is ideal to have a good time indoors and outdoors when the weather permits. You can simplify the control by activating the mode CF (or headless): during the initialization of your drone, when the drone synchronizes with the radio controller, it memorizes and locks its direction thanks to its integrated compass. When the CF mode is activated the drone no longer takes into account its direction, there is no more front and rear, the drone uses only the direction that it memorized at the time of its synchronization. This makes your R NANO HD easier to fly. Your R-Nano HD has a built-in HD camera that lets you record all your adventures. So you can make videos and high-end shots in 720p20ips. All created content is saved on a microSD card (not included) to be inserted directly into your drone. To view the content, simply grab the card to place it in an adapter that will allow you to download photos and videos directly to your computer. Its small size allows your R NANO HD to sneak up to allow you to discover new points of view and capture original photos or videos. 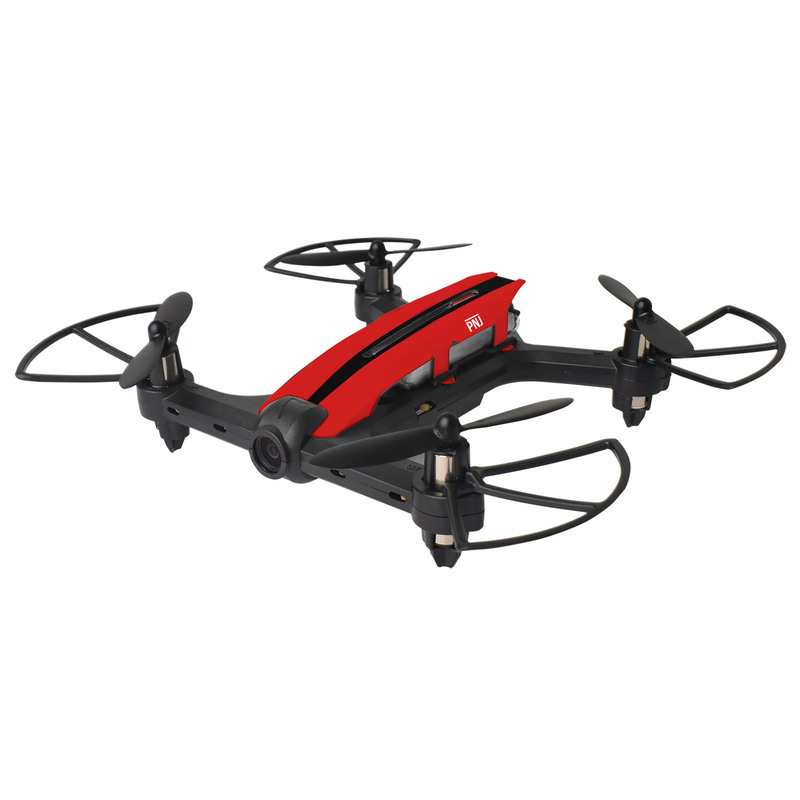 The R NANO HD is a nervous and agile drone. It has been developed for acrobatic fans who want to get their hands on a mini racer. To allow you to take full advantage of your drone, we provide you with an extra battery. Once your first battery is running low, you have the option to insert this second battery to continue flying longer. Each of these batteries gives you a range of about 6 minutes, so you have a total flight time of 12 minutes.